Ski Racing Development (SRD) and World Cup Supply (WCS) are pleased to announce that the winners of the 2013 SRD/WCS “Fast Skier” Junior Alpine Scholarship Fund awards are Hannah Utter of Waitsfield, VT, a U16 athlete out of the Green Mountain Valley School (GMVS) and Michael Cooper of Alta, CA, a U16 athlete out of California’s Sugar Bowl Academy. Hannah is a product of the Green Mountain Valley School program based in Sugarbush, VT and is our first Eastern division recipient. A straight A student, Hannah was elected to be the 8th grade class president and is a member of the varsity soccer team as well as being involved with the school theater program. 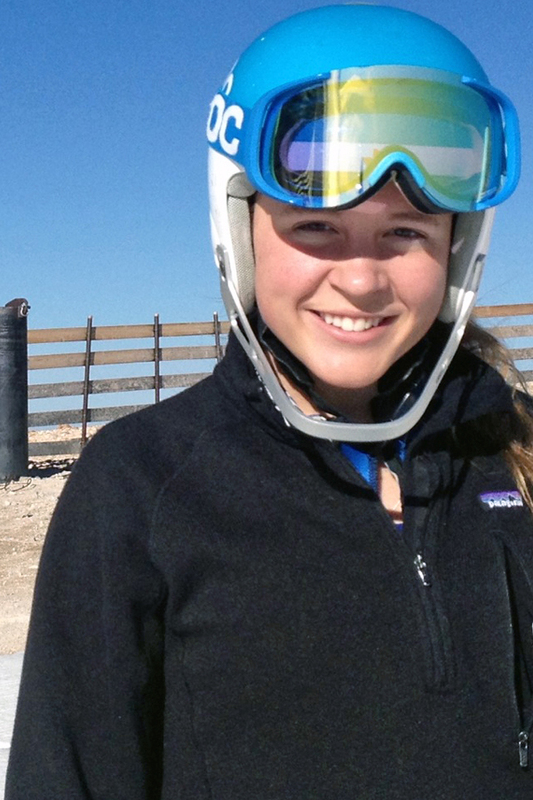 As a ski racer Hannah is currently the 2013 U14 Eastern GS and Overall Champion, Vermont U14 SL Champion, U14 Can-Am GS and SL Champion and 2012 J4 Eastern GS Champion. Michael is our first Far West division Scholarship recipient. Racing out of the Sugar Bowl Academy, Michael took the 2013 U16 National SL Championship and earned a 3rd in the GS. Michael was also U16 Western Regional SL and GS Champion. Currently Michael ranks number 4 in SL and 2 in GS nationally for 1997’s. Also a straight A student, Michael is interested in chemical engineering in the bio-medical field. Along with last year’s recipient Sky Kelsey, Michael has a passion for music and piano and would like to minor in music while at college. As the recipients of the 5th annual Scholarship award both Hannah and Michael will receive $1,000, WC race poles and a 2014 DH speed suit from SRD and a WCS Team jacket, WCS Start Cape and a Vt-Ster backpack from WCS. “While our selection process was made a bit easier this year with the addition of a second award, we were faced with making two tough choices from the pool of super kids who applied. Both Hannah and Michael are tremendous examples of all that we look for in our selection criteria and we are really proud to add them to our growing list of recipients.” Commented Brad Williams of World Cup Supply. We congratulate Hannah and Michael on being recipients of this year’s awards and wish them all the best both on and off the race course.